I’m not sure whether Lucid is extremely clever or just frustrating, but I’m leaning towards the decision that it’s a little from Column A, a little from Column B.Sloane and Maggie dream they are each other. They live completely different lives: one a straight-A student in a small town, the other an actress in New York. Each girl believes that they are real, and the other is a dream. Except, of course, that thought is shadowed by the fear that they are in fact the dream, and they could disappear at any time. Lucid spends some time establishing the two separate worlds of each girl, exploring the differences in their characters and day-to-day lives. Their realties are seemingly unconnected, yet each is fully cognizant of the other. They know each other’s families. They know each other’s secrets. They essentially live each other’s lives when they fall asleep. And with the exception of Maggie’s psychologist, no one knows that they inhabit a double reality, or that they both fear they are not real. That is, until the fabric between their worlds begins to perforate, and parts of their lives start to bleed into the others’.Although this is a premise I found intriguing, Lucid took some time for me to feel immersed in. I wanted to be fully engaged by this story, but some quality of the storytelling was almost repellent at first. The worlds felt slightly unreal to me (though in hindsight, perhaps this was a deliberate choice), and neither girl was initially very compelling. Lucid seemed more concerned with telling the reader how different Sloane and Maggie were, as opposed to creating characters that were interesting in their own right. It wasn’t until a considerable way through the book that I actually started to feel some investment in what was happening to them, which coincided with the plot gaining momentum. While on the face of it Maggie and Sloane lead vastly different lives, there are subtle parallels in their stories and markers in their personalities. These small hints, and trying line them up with their counterpoints, are what keep the novel intriguing, more so than the actual events taking place in their respective lives. Much of Lucid revolves around romantic drama. And while this makes sense to me now, it did occasionally feel tedious and drawn out while reading. Both girls meet new potential love interests, and there are other possible candidates for their affections existing in their lives. These entanglements are accompanied by a lot of internal rumination and complicated emotions, so a large portion of the book is concerned with working through these issues and “falling in love”.In keeping with the continuous background questioning of ‘real or not real’, some of the characters feel more organic to the story, while others seem like anomalies. There’s a slight quality of wish-fulfilment to these characters and certain events that unfold, which are used almost as red-herrings, so that neither world feels consistently “real” or “unreal”. Again, it’s a tactic that makes sense in retrospect, though at the time seemed lifted directly from the Paranormal Romance Guide to Tropes. (Probably another reason I was initially resistant to the book). Where Lucid really strengthens though, is in the convergence of the worlds. The pace lifts rapidly, and the writing nails the disturbing sense of unravelling and descent into chaos. Here, the book becomes hard to put down, as it become increasingly confusing while moving inexorably toward a conclusion. However, it’s not an ending that will satisfy all readers. 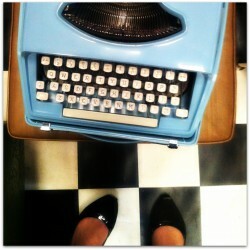 A few answers are provided, from which readers can draw their own conclusions (pun totally intended). Ultimately, much is left unconfirmed, several threads left hanging. This is both appropriate, and annoying, depending on your level of investment in the characters. 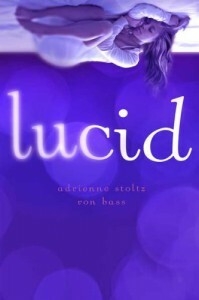 That said, by leaving readers free to fill in some of the blanks, Lucid makes a more lasting impression and almost guarantees readers will continue to puzzle over its unravelling long after the final page. * * * * *Loved the concept, but I'm a bit ambivalent on the execution. Review to come.